Charon's train has left the station! 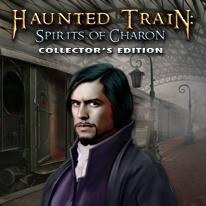 Charon's train has left the station, and you’ll never believe who’s on board. You and your fiancée were supposed to be happy, but someone's destroyed your wedding day, and your lives together. Now her ghost beckons to you from the train of death. Can you put this vicious deed to rest – and help Charon bring justice to your love's tragic end?